The official Steam group of FlightRising.com! 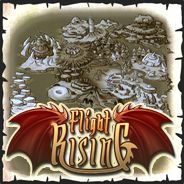 Flight Rising is a browser-based game where players lead an elemental clan of dragons and work with other clans to gain supremacy in the realm. It features dragon breeding, battles, adventures, item collection, and mini-games! First group Giveaway! Input needed. I've been planning the first official giveaway and its going to be a trivia question! A) Set a date and time for everyone to meet in steam chat for the giveaway. B) Set a date and time and post it via a steam announcement/dicussion. Welcome to the Steam group! We would like to take a moment to welcome all of our new members! Once we hit the 100 member mark we will start having contests and giveaways for FR loot, dragons, and more! So spread the word to your Flight and lets get to 100! Collectin' all the handsome snappers! FlareTheDragon from Flight Rising has joined the group. That's me, by the way.